There’s something about the WACA Ground that doesn’t quite agree with Brendon McCullum. 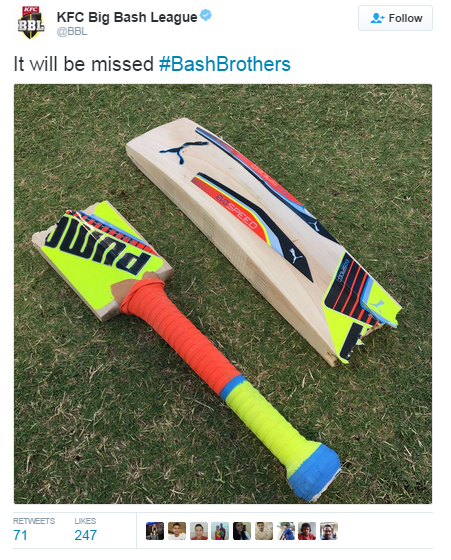 Or more specifically, Brendon McCullum’s cricket bats. 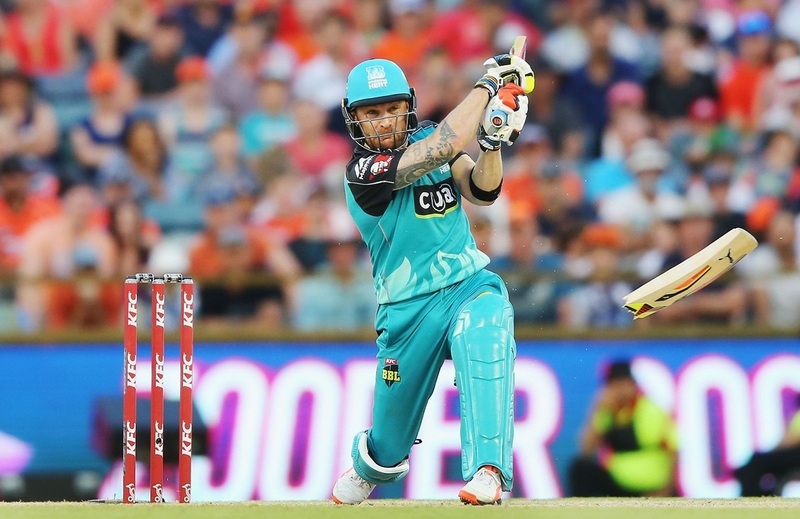 The Brisbane Heat opener and former Kiwi skipper snapped one of his mighty Puma blades clean in half during his blistering 31-ball 50 against the Perth Scorchers on Thursday night, a firm blow down the ground that still almost made it to the boundary. It’s the second time in two years McCullum has been forced to call for a new bat while batting in Perth; a searing delivery from Mitchell Starc during last summer’s second Test broke a chip off the base of his blade during his innings of 27. McCullum, a passionate horse racing fan and owner, is known to name his bats after famous race horses and etches their names on the shoulder of each piece of willow. And in his two most recent trips west, he’s ‘broken’ two of Australia’s best-known race horses. “I broke Black Caviar (last year), Mitchell Starc did, and I just broke The United States today,” McCullum told cricket.com.au. Black Caviar, the retired sprint champion who was unbeaten in 25 starts, is one of Australia’s greatest-ever race horses while The United States, an Irish product owned by Lloyd and Nick Williams, has triumphed at Moonee Valley on Cox Plate Day in each of the past two years. 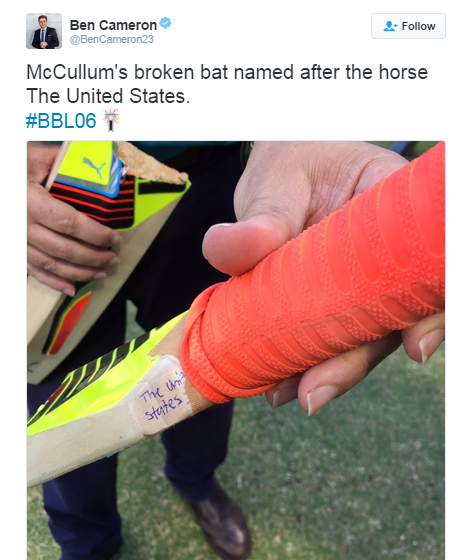 As photos of McCullum’s broken blade spread on social media following the Bash Brothers’ epic display, jockey Kerrin McEvoy – who has ridden The United States in four of its past six starts – said he’d love to get his hands on the unique piece of memorabilia. McCullum joked he’d happily give the broken piece of willow to McEvoy, ranked the equal-12th best jockey in the world last year, as long as he gets something in return. “If he wants to come over and ride one of my horses in the Thorndon Mile (in Wellington) in a few weeks’ time, I’m sure we can have a conversation,” he said. One just hopes that the destruction in Perth last night isn’t a bad omen for McEvoy’s horse.